Searching for a simple resume template? Keeping your CV clean and simple can be the key to success. Most employers prefer well-structured resume layouts listing the most important facts about the applicant. So, why don’t you try using the “skeleton” of a resume to create a likable structure for any potential employer? Using a simple CV layout, an applicant can put together a presentation of their skill set and knowledge in a particular sphere. 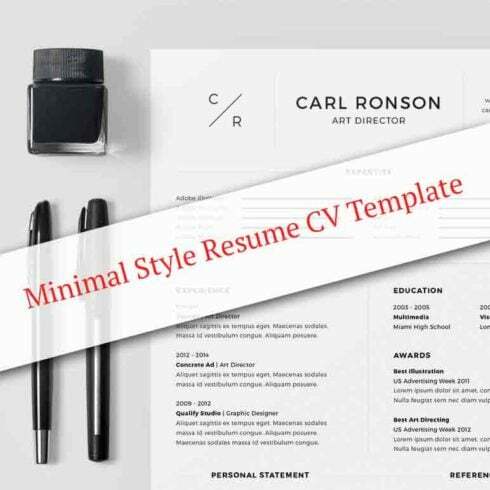 Purchasing a simple resume template from MasterBundles, you get a set of files customizable in Microsoft Word and Adobe InDesign. Also, PDF preview files are available to let you choose a CV layout that is appropriate for the vacancy. .IDML customizable in Adobe InDesign CS4 or later. 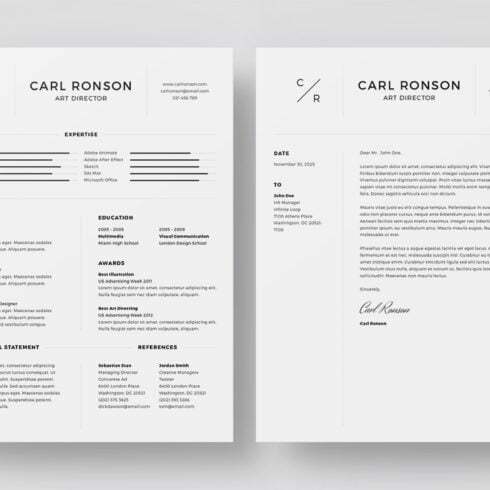 What’s even better, you get high-quality US letter size resume templates that are print-ready as per CMYK standard. The templates were made using Montserrat Font Family, so might need to download the fonts prior to customizing the files. Opt for a simple resume template to create a unique presentation of your professional value and skill set! This Resume designed using Montserrat Fonts.